DJ Raph is an electronic musician, producer and DJ from Nairobi, Kenya. He is an outstanding figure in the growing Kenyan underground electronic scene. His debut album Sacred Groves is a rare gem of a record; considered, emotional and contagious. 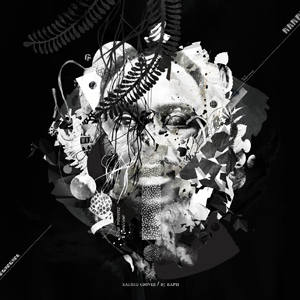 DJ Raph builds rich, textured electronic music from pan-African ethnographic field recordings. Sacred Groves opens up a timeless musical universe, that is both ancient and futuristic; a deep melange of modern electronic bass music, african chants and traditional rhythms. This is essential dance music. It is fundamentally not kitsch or cliched. What makes DJ Raph´s approach unique within the abundant production of African electronic music is a keen interest in the meanings and contexts of the original feld recordings. Sacred Groves emerges from weeks of research in the extensive music archive of the Iwalewahaus (Bayreuth). The music, rhythms and chants which he builds from are not just to expand his sound palette; his work is a considered homage to the traditions which he borrows from. The archive is revered rather not researched. The respect that DJ Raph, a Nairobi-based producer, has for a broad African cultural heritage is deeply visceral and palpable in this music. Long samples allow the feld recordings to breathe, to open up an innovative and vital electronic soundscape. Sacred Groves is simultaneously traditional, contemporary and deeply sacred. All music was produced by Raphael Kariuki in Nairobi, Kenia & Bayreuth, Germany. All ethnographic recordings used on this record are part of the UNESCO World Heritage with friendly support of Klassik Center, Kassel. Additional mixing by Hannes Teichmann. Mastered by Mike Grinser at Manmade Mastering, Berlin. Holly Herndon: Thanks for sharing! A refreshing take on dance music! Andi Thoma (Mouse on Mars): Gerade in den usa 5:00 morgens mit berlin jetlag wach geworden, draussen rumoren die klimaanlagen und dann euer kenya soundtrack, as für ein moment ! Deadbeat (~scape, Echocord): DJ Raph is amazing!!! Electric Indigo (Imbalance Computer Music ): Sacred Groves is truly captivating. The combination of very electronic sounding bass and traditional, world-heritage samples comes across so self-evident and meaningful. I’m thankful that NOLAND, again, broadens our horizon. Rabih Beaini aka Morphosis (Rush Hour, Honest Jon´s, Morph, Morphine Records): This album is amazing, has a great balance between the original material and the electronic side, playful, fun and well produced. Sasha Perera aka Perera Elsewhere (FoF, BPitch Control): Always nice to hear new stuff from producers from Kenya while S.Africa takes so much limelight! liking the some of these psychedelic 3 legged rhythms on tracks like Reeds from Chad….percussive trancey shizzle for the zombie sunrise/ after-hour. oh yeah and The Boy from Digenenthi is the hit…. ! Losoul (Playhouse, Another Picture): Always interesting to see what people of other cultures do and at the same time what is still similar among us. Trippy atmospheres, heavy grooves, open spaces.. A touching mixture of old and new energies. Jay Ahern (Cheap & Deep, Domino): DJ Raph’s Sacred Grooves is modern, sonically massive and haunting. The album is not a container of remixes, it’s a real time electronic dialogue with ghosts. The spirits inhabit these recordings, connecting to us in the moment and touching us with their humanity. DJ Ralph is a gifted producer who coaxes amazing sounds and performances from his instruments and musicians, even when they are a band of ghosts. Batida (Soundway Records): Just by meeting him in downtown Nairobi for a really deep crate digging and after spending a few hours at a home studio playing around with samples, I felt I found a soulmate. I relate with the way Raph approaches older Kenyan music. He is very serious about what he does but you can trust such a serious guy when you see him dancing and enjoying so much from others music on the dancefloor, with such a glow and generous smile. Will always keep an hear to what he does. Love, Raph! Jean-Christophe Mercier aka Readymade FC (Peacefrog, F-Com): As big amateur of different African musics & what we strangely call „ethnic music“ i usually am not a big fan of remixed sacred music coming from far cultures because it invariably turns into some cultural disaster. But here is completely different. The guy obviously knows what it’s all about & the result sounds beautiful to me. It’s very clever, respectful of the grooves even it modifies the context. It’s a great project. I just love the album. Daniel Meteo (Shitkatapult): Eine weitere Veröffentlichung auf Noland, die da schürfen wo es interessant wird: Raph aus Nairobi vergrößert ein tolle Sammlung von Musik aus einer Welt ausserhalb der Weltmusikschublade. Cool. Pablo Bolivar (Curle, Desolat): really interesting mixture of african roots and electronica, will give it a proper listen asap! Ramsha Shakeel (Noland): Thanks for sharing, listening to this gem now. Such powerful sounds! Each track is almost like creating a narrative of its own.